In some cases, the versions of the games on sale today are the "TV" optimized titles. Given the SHIELD tie-in on this promotion, that would make sense. 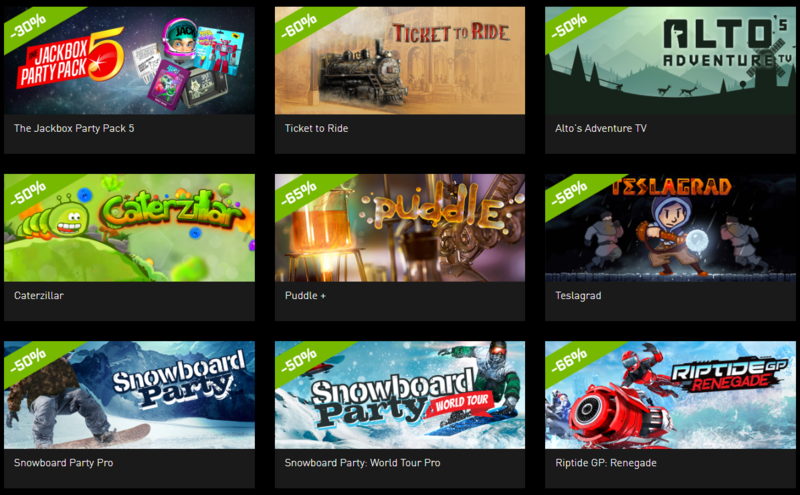 Two of the "Snowboard Party" games are included in the sale but don't actually have discounted prices at the time of writing. Presumably, they're just running a bit behind. For your convenience, I've roughly emulated the format of our app sales posts, which give you an easy comparison of the discounts and prices for all the games involved in Nvidia's sale. Let's dive in. If I can offer one recommendation, The Talos Principle has some fantastic puzzles, great music, and a thought-provoking science fiction plot — I give it a personal 9/10.